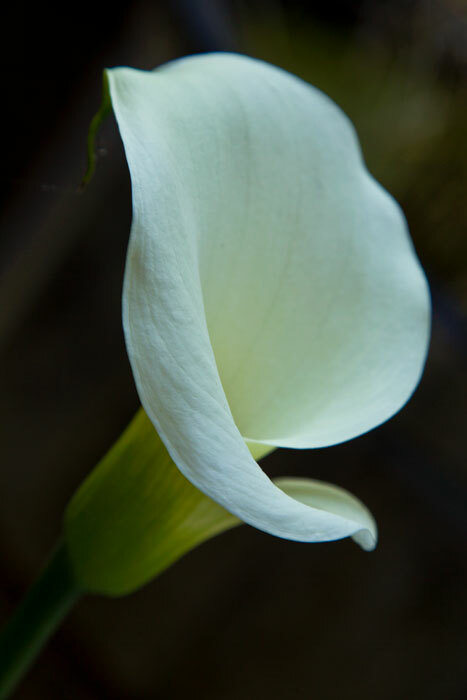 Calla lillies are probably my favorite flower. I love the simplicity of the blossom and the gentle curves. Years ago, my father-in-law planted this in our garden. When I moved in with Karen, I dug it up and brought it with me. This plant is a survivor and so forgiving. I’m a terrible gardener. I never water, never feed and never ever weed. It’s a target for slugs and yet, when I looked out the window this evening, it had two perfect blossoms.